Excluding the obvious, there are two essential elements to Christmas: turkey and television. Here’s a round up of some of the Christmas films guaranteed to bring you a bit of festive cheer this year (and every other for that matter…) should they appear on the box. Much like The Sound of Music and The Wizard of Oz, this is a festive film by association. Still, Christmas isn’t Christmas until you’ve drooled over the title sequence and wondered for a minute what would happen if you found that glinting gold wrapper under the next bar of Dairy Milk you open. An alternative take on the festive film genre that makes the prospect of Christmas Day at the Burton house somewhat terrifying. 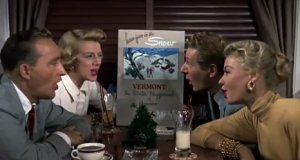 It has a brilliant soundtrack and is a good choice for those a little tired of holiday mush. 1950’s musical magic at its best: A double love story, miraculous snow and a crooning Bing Crosby. Who could ask for anything more? 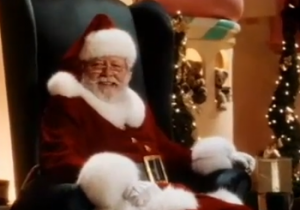 Because Christmas is the perfect time for miracles, and Richard Attenborough makes the perfect Santa Claus. The Muppets; helping to bring Dickens to the masses! 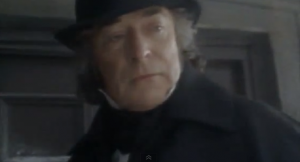 Kermit and co. somehow manage to bring joy to every last inch of the Dickensian ‘Bah Humbug’ spirit. These films ensure that Macaulay Culkin is immortalised as the cute pre-emancipated child-star he once was. The two tales of poor abandoned Kevin McCallister are enough to make any child, sat at home willing their parents to vanish, think twice; even if outfoxing burglars does look quite fun. Of course both films have the same basic plot but hey, if it ain’t broke, don’t fix it…that is until you try to release a third film that turns out to be a box office flop. A great cast all playing to their strengths; Colin Firth as bumbling Englishman, Hugh Grant as slightly less bumbling Englishman, Martine McCutcheon as loveable Londoner… This film has just the right mix of pathos and comedy to make your heart melt a little bit. 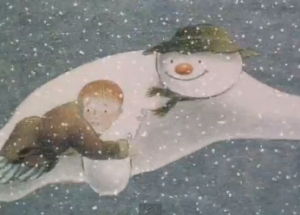 Whilst the combination of Raymond Briggs’s illustration and Aled Jones’s haunting rendition of Walking in the Air is slightly creepy, there is no denying that The Snowman is a Christmas classic. By the time it’s aired you can normally count down to the big day on one hand. Elf is fast becoming a contemporary classic. 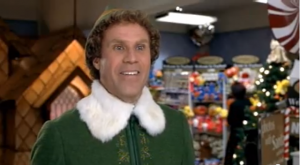 Will Ferrell gives a charming performance as the child-like, happy-go-lucky, Buddy, who has a serious case of mistaken identity. 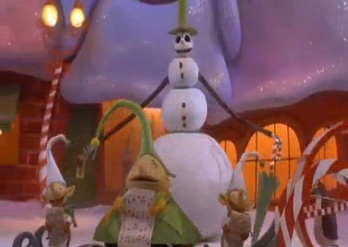 I defy you not to laugh whilst watching this ‘elf’ try to conquer New York City and gain the love of his father. This seasonal standard sends out exactly the right message for Christmas. 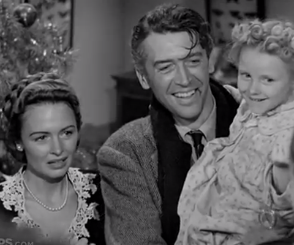 Protagonist George Bailey realises that in life it’s crucial to appreciate what you have, rather than lamenting that which you haven’t. Just remember this notion when you don’t get that super expensive, top of the range, thingy-me-bob from your other half. It has been re-released in colour but is best watched in black and white for ultimate, heart-full-of-cheer viewing. If you’re looking for the perfect present for a film fan, take a look at our TV and film experiences.